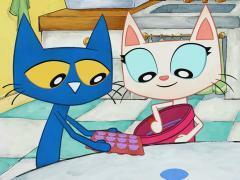 When will be Pete the Cat next episode air date? 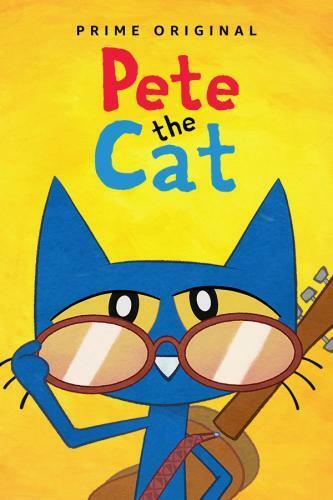 Is Pete the Cat renewed or cancelled? 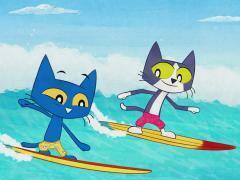 Where to countdown Pete the Cat air dates? 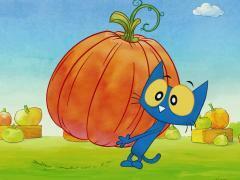 Is Pete the Cat worth watching? TOO COOL FOR SCHOOL: Pete needs to decide on an outfit for picture day, which leads him to seek fashion advice from his friends. PETE AT THE BEACH: Pete and his family go on a trip to the beach so he can surf, but he is not immediately comfortable going in the water and needs brotherly help. BEGIN TO BEGIN: Pete has trouble creating a new song for the band to play, and needs help from his friends and family. THREE BITE RULE: While preparing a dish to bring to school, Pete helps Grumpy embrace the 3 bite rule to try new things. 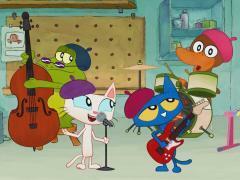 ANOTHER CAT'S SHOES: Pete and his friends meet the new kid in town, but hanging out with him is different than what they expect. EMMA'S WEIRD SONG: After Emma delivers a "weird" song, it's up to Pete to prove that weird is cool. MAGIC SUNGLASSES: Pete is having a crummy day, but when Grumpy gives him magic sunglasses, he sees the world in a whole new magical light. SANDCASTLES: When the gang is all hanging at the beach, Sally builds a great sand castle, but starts to worry when she realizes the tide will wipe it away. THE CASE OF THE MISSING CUPCAKES: Pete and his friends have to investigate when the cupcakes they made for Dennis' birthday suddenly disappear. BEDTIME BLUES: Pete and his friends have a fun sleepover but there is one problem, everyone is having trouble falling asleep when it's time for bed. THE BAND'S FIRST GIG: Pete and the band decide to play their first gig as a surprise at the town's big picnic. But when wind (and their own nerves) get in their way and nothing works out like they planned. 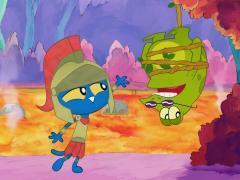 QUEST: The gang use their imagination to quickly get to school in time after missing their bus. PUMPKIN PAGEANT: Pete is preparing the perfect Jack-o-lantern for the pageant, but faces an unexpected challenge when his pumpkin breaks. TRICK OR TREATING GHOST: On Halloween night, the gang agrees to face their fears together, and explore the spookiest places in town. 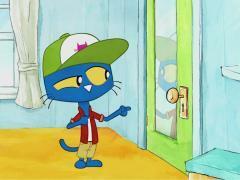 Pete the Cat next episode air date provides TVMaze for you. 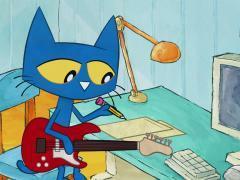 EpisoDate.com is your TV show guide to Countdown Pete the Cat Episode Air Dates and to stay in touch with Pete the Cat next episode Air Date and your others favorite TV Shows. Add the shows you like to a "Watchlist" and let the site take it from there.